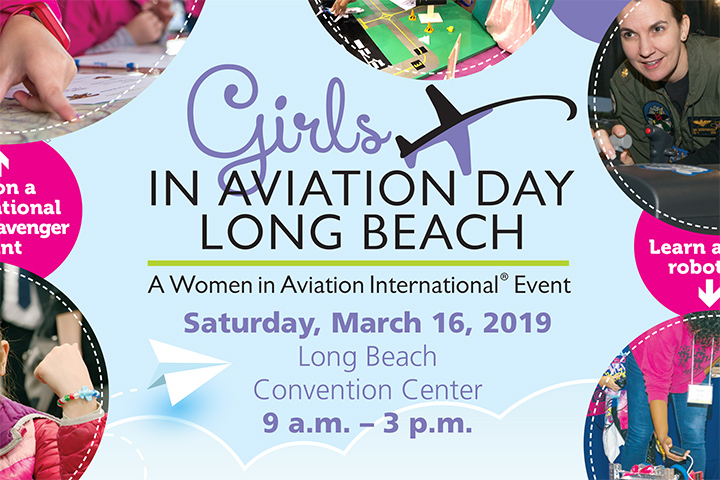 The nonprofit Women in Aviation International will bring its annual conference to Long Beach in March, including a Girls in Aviation Day planned for 9 a.m. to 3 p.m. Saturday, March 16 at the Long Beach Convention Center. Girls ages 8 to 17 will be introduced to aviation and aerospace career possibilities. The day includes hands-on activities, speakers, games and more. Older girls can meet with representatives from aviation colleges and universities, and learn from working women about their aviation careers. Children must be accompanied by their parent/chaperone. The cost of $10 per girl includes lunch. Parents and chaperones are welcome at lunch for $10. 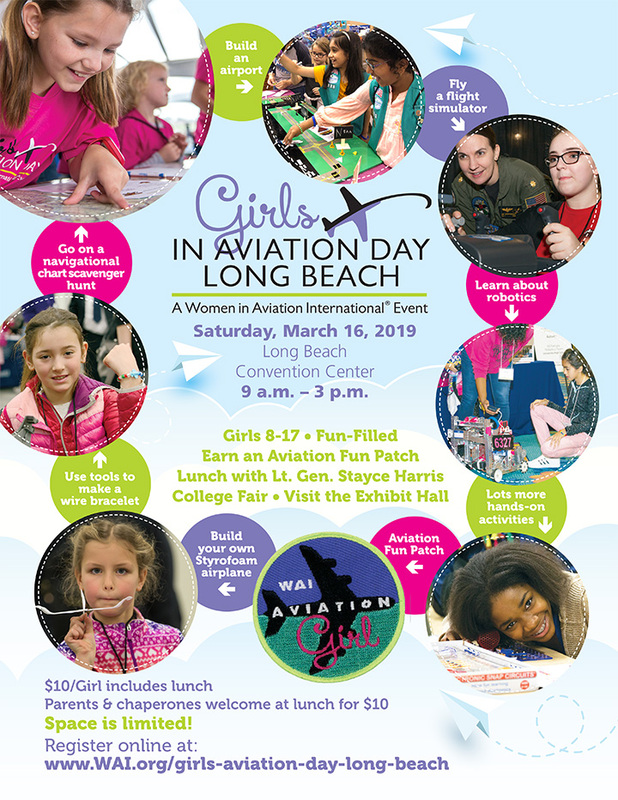 Register at wai.org/girls-aviation-day-long-beach. Space is limited. Select image to view full flier.